13 Days from £7205 per adult. 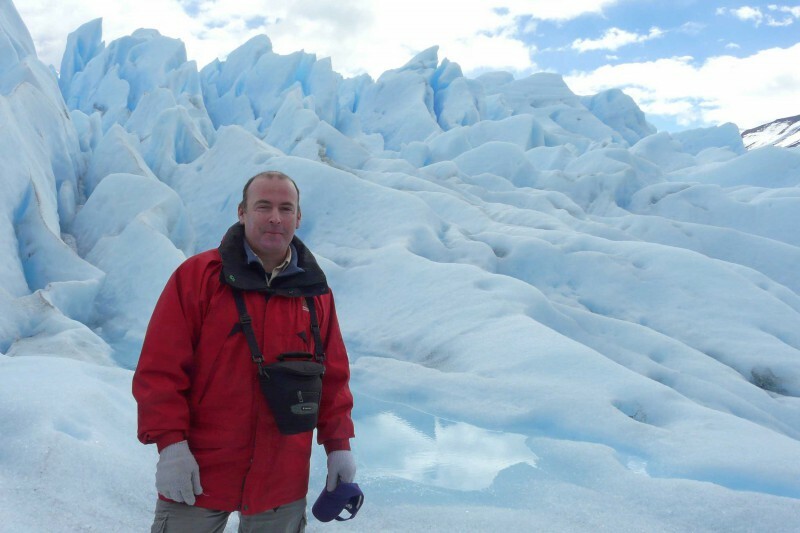 Most of our clients are interested in general natural history – Mother Nature in all her various manifestations. Some have certain types of wildlife that are of particular interest. 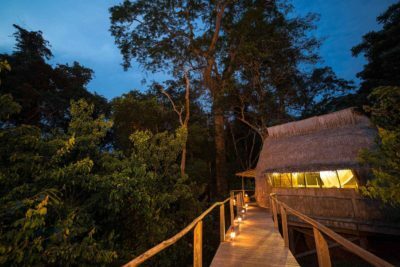 Others seek something out of the ordinary – a little-visited wildlife gem that’s resolutely off-the-beaten-track; somewhere that engenders a frisson of excitement and perhaps a modicum of trepidation. We have discovered just such a destination – the Republic of the Congo (not to be confused with the Democratic Republic of Congo). 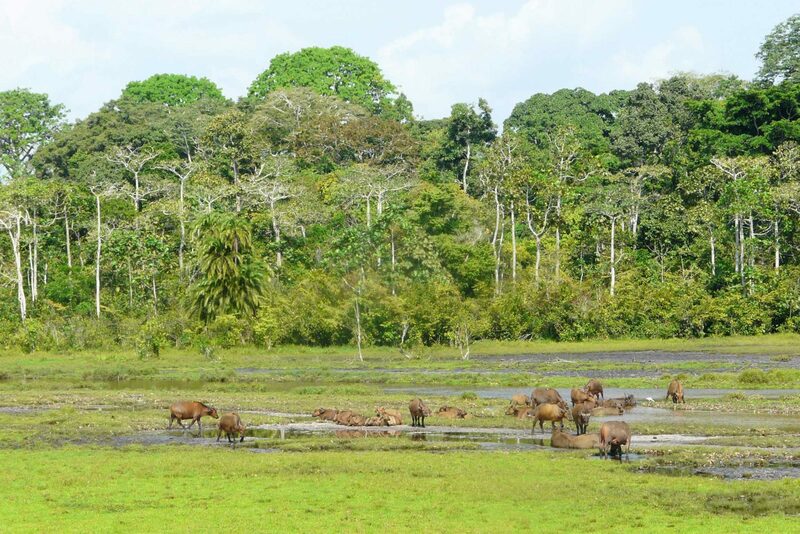 Throughout this varied and comprehensive journey you will be accompanied by documentary cameraman Vianet D’jenguet who will bring the destination to life with his passion for the people and rare wildlife of the Congo. 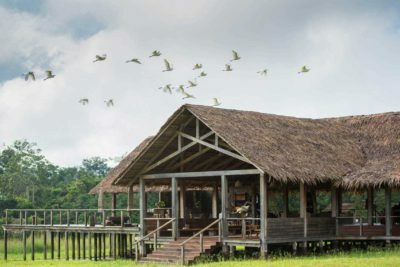 In addition to Vianet – who can also give you helpful photography tips – there will be experienced wildlife guides from the Congo Conservation Company on hand to provide specialist local knowledge and priceless natural history insights. NB: The 2018 departure is now gone. There will be a 2020 group departure – please call us for details. Evening departure from London Heathrow and fly overnight to Brazzaville. Met on arrival in Brazzaville and transfer to hotel. The rest of the day is at leisure. Staying at Radisson Blu M'Bamou Palace Hotel. Includes No Meals. Spend a few hours exploring Brazzaville accompanied by Vianet and our local representative. There is no set tour arranged; instead Vianet will simply show you some of his favourite parts of the city, no doubt also visiting one of Brazzaville’s bustling markets. 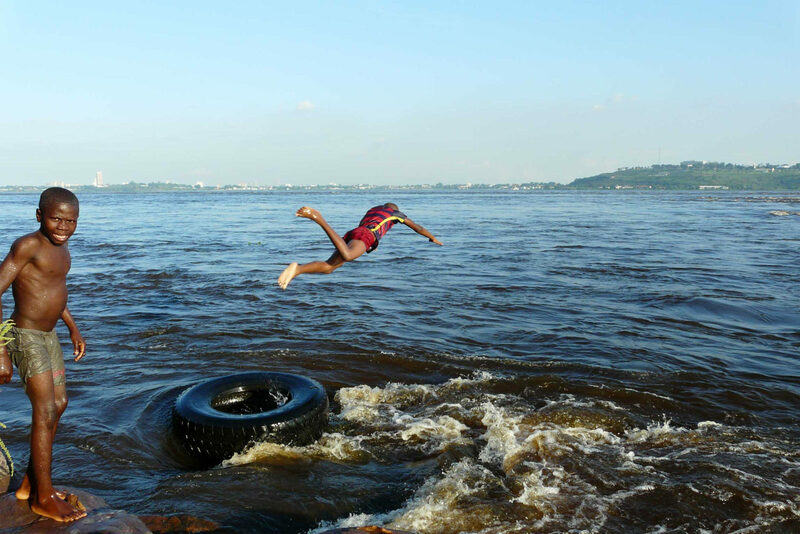 There will almost certainly be a visit to Rapide, a viewpoint overlooking the foaming Congo River where it surges through in a series of wild rapids. Staying at Radisson Blu M'Bamou Palace Hotel. Includes Breakfast. 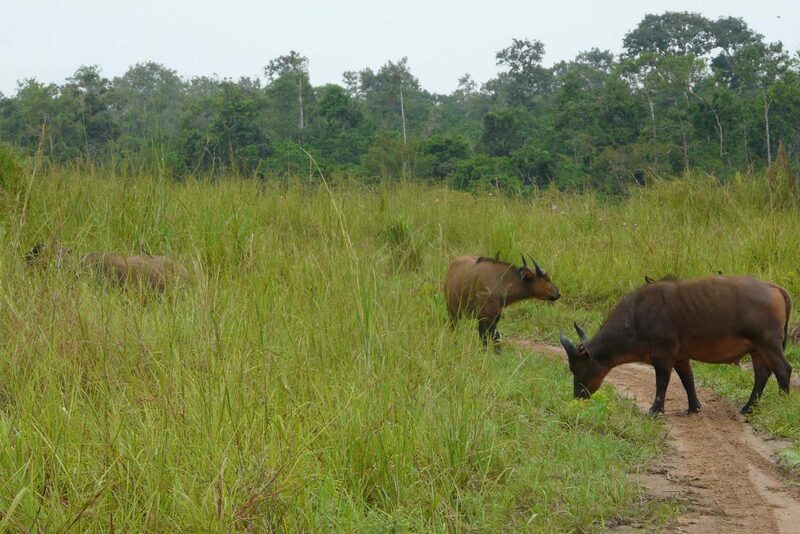 Transfer to Brazzaville Airport for a scheduled charter flight to Mboko airstrip in Odzala-Kokoua National Park. Upon arrival at Mboko airstrip we will be met by our guide and transfer to a private concession in the Ndzehi Forest which borders the National Park’s western boundary. After dinner enjoy a short forest night walk. Staying at Ngaga Camp. Includes Breakfast and Dinner. 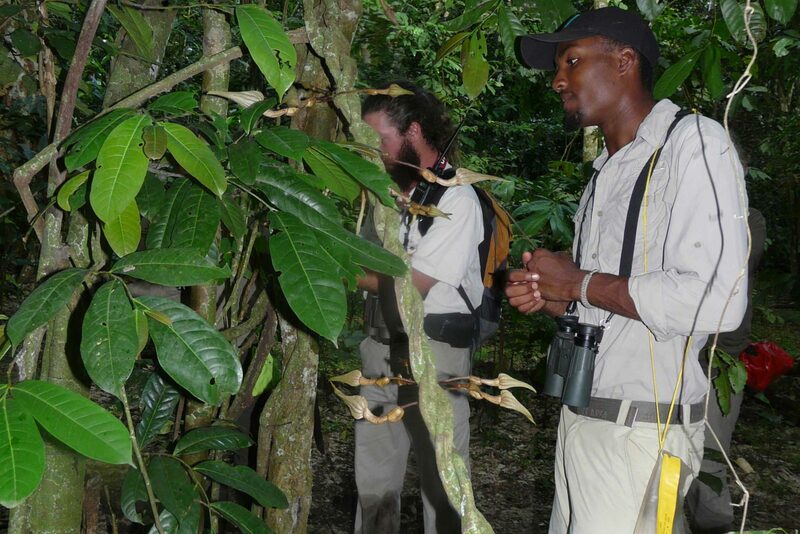 The group will be divided into three, with two groups spending the morning tracking western lowland gorillas, and the third group exploring the forest trails. In the afternoon the whole group will visit the small village of Ombo, with another opportunity for a night walk after dinner. Staying at Ngaga Camp. Includes All Meals. 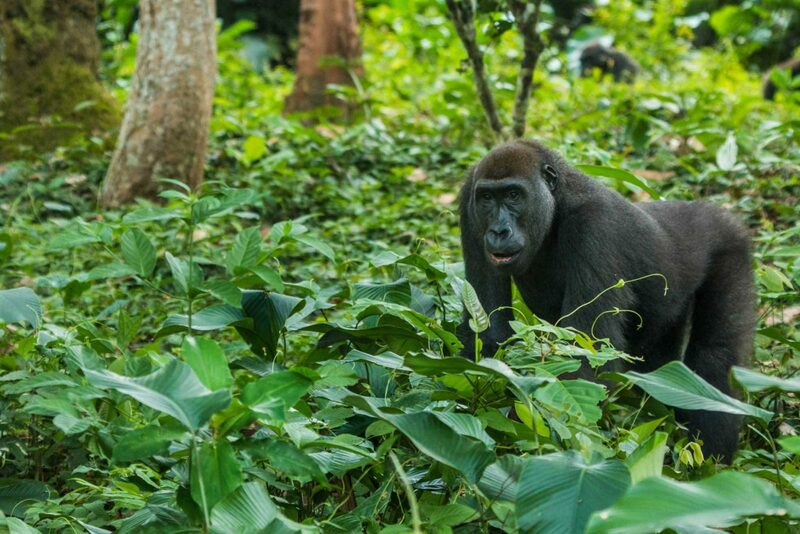 The group will be divided into three, with two groups spending the morning tracking western lowland gorillas, and the third group exploring the forest trails. In the afternoon the whole group will explore one of the forest trails, with another opportunity for a night walk after dinner. 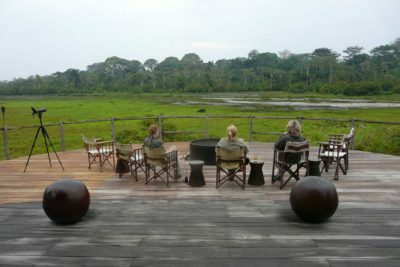 During a final morning at Ngaga two groups will track the habituated gorilla groups whilst the third group relaxes at the lodge, or explores one of the forest trails. After lunch drive back into Odzala-Kokoua National Park. En route stop in the small town of Mbomo to visit a pre-school and community centre which is supported by Sabine Plattner African Charities (SPAC). Arriving at dusk we will hopefully be welcomed by spotted hyena which frequently visit the camp before nightfall. Staying at Mboko Camp. Includes All Meals. After breakfast drive to the Lekoli River for a boat trip upriver and hike to one of the baies. The actual baie to be visited will depend on wildlife activity and weather, but is likely to involve a hike with short stretches of possibly waist deep water, muddy trails, and grassland. Return to the camp in time for lunch. 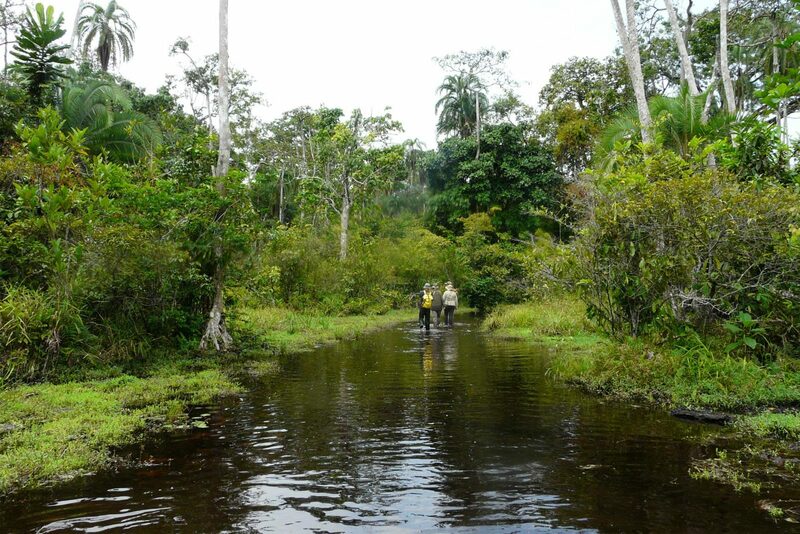 In the late-afternoon enjoy a gentle boat trip down the Lekoli River for a stunning sunset over Lango Stream. Return to the camp after dark in time for dinner. 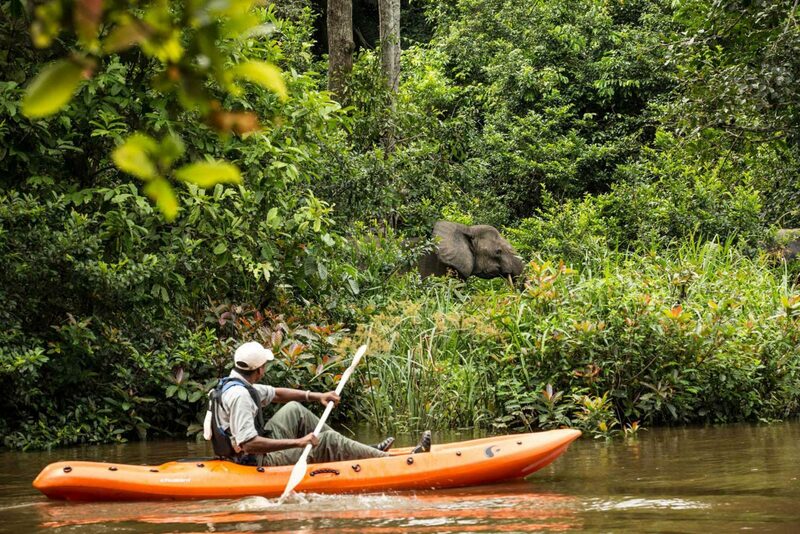 Return to the Lekoli River and kayak downstream to Lango Stream, and from there hike along the stream into Lango Baie, arriving in time for lunch. In the late afternoon hike across the baie to a forested ‘island’ - Lango East Forest - to look for primates and birdlife. Staying at Lango Camp. Includes All Meals. After breakfast, cross the baie once again to enjoy a morning wildlife hike through a variety of habitats including gallery forest, grassland and forest ‘islands’. Return to the camp for lunch. The afternoon programme of activities is flexible. Some may prefer to relax on the deck and watch the activity on the baie from that viewpoint, others might like to hike in one of the forest islands, or perhaps take a grassland walk. Transfer to Mboko airstrip for the scheduled charter flight back to Brazzaville. Met on arrival and transfer to your hotel. The afternoon is at leisure. 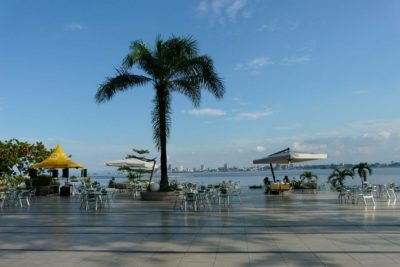 In the evening enjoy a farewell dinner in the hotel’s grill restaurant overlooking the Congo River. Staying at Radisson Blu M'Bamou Palace Hotel. Includes Breakfast and Dinner.